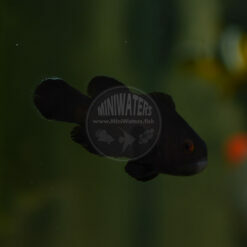 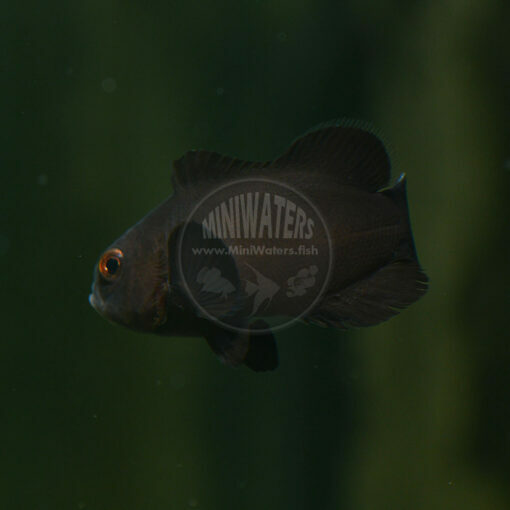 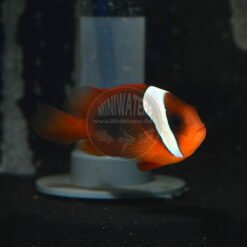 The Midnight Black Ocellaris is a bit of a mystery; unlike some of the other “designer” variations of Black Ocellaris Clownfish, the Midnight may have arisen without the need for hybridizing and back crossing between a Naked-gene carrying Amphiprion ocellaris, and the Darwin Black Ocellaris, which I personally consider a distinct species (taxonomists be damned…get to work! 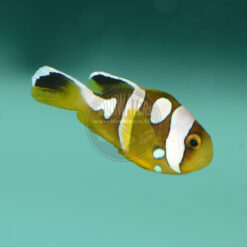 ), and list here as A. sp. Darwin. 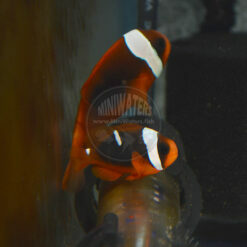 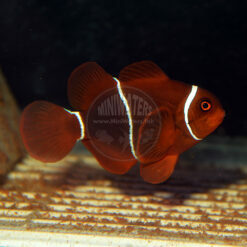 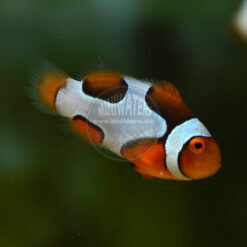 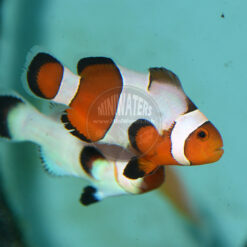 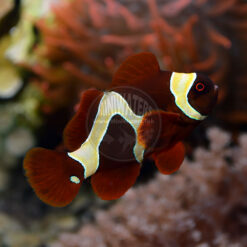 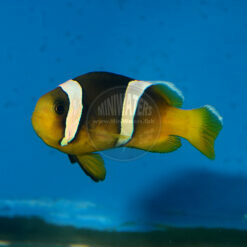 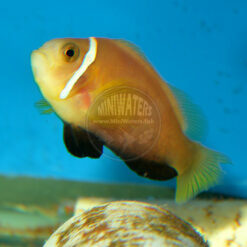 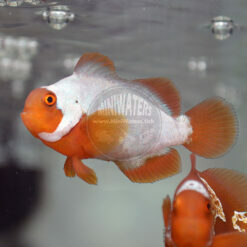 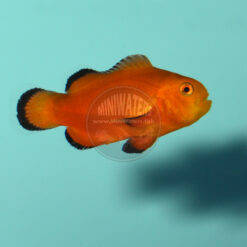 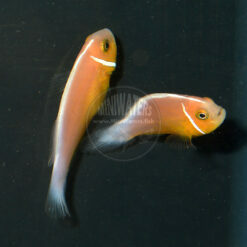 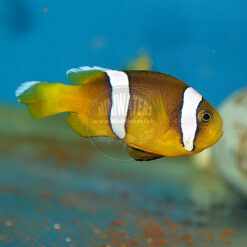 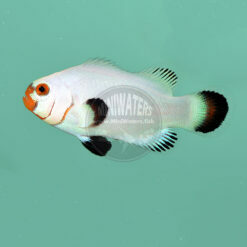 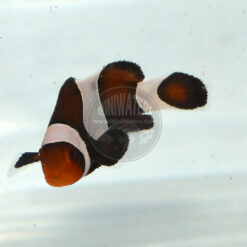 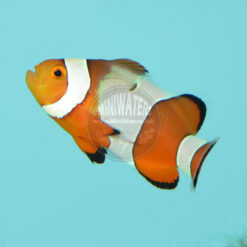 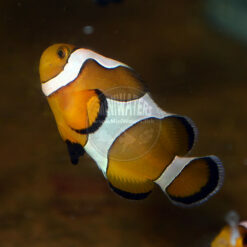 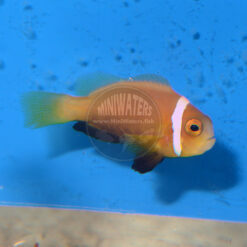 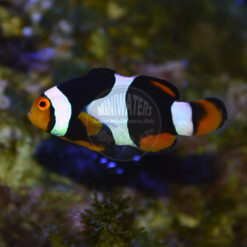 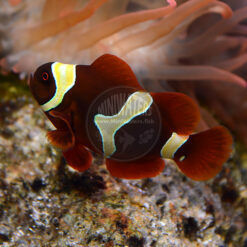 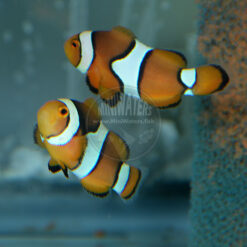 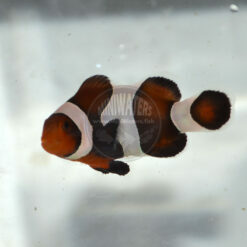 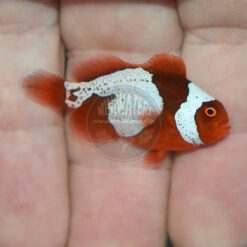 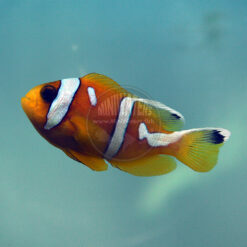 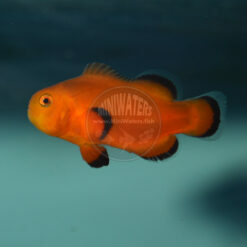 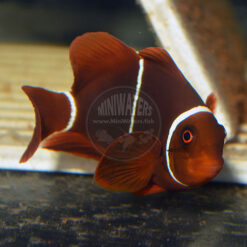 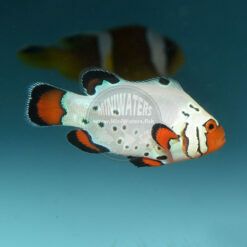 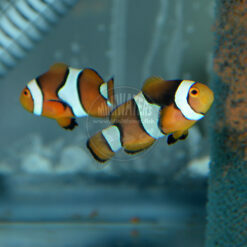 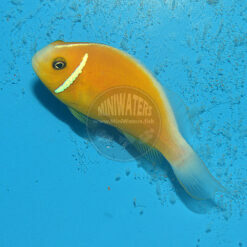 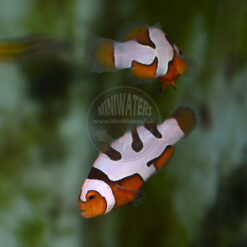 This solid jet-black Clownfish remains a popular introduction. 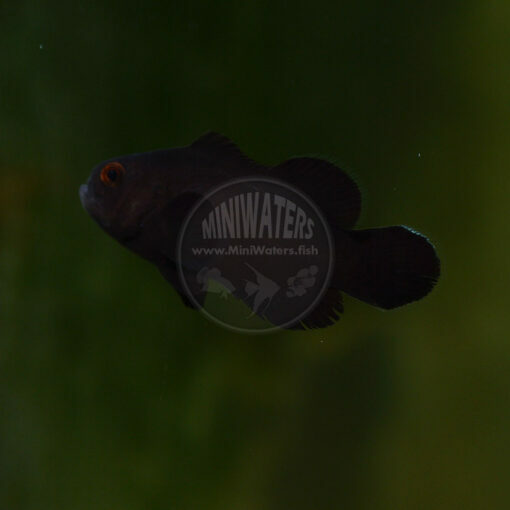 We don’t know that we can trace any of the Midnight Ocellaris in the trade back to pure lines of Darwin Blacks, so I personally wouldn’t use these in any conservation-oriented breeding. 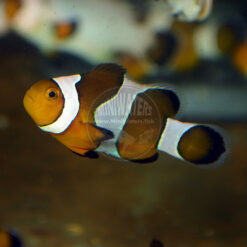 But we do have a basic understanding that the Midnight Ocellaris Clownfish carries a stripe-reducing or stripe-eliminating gene we simply call “Naked”. 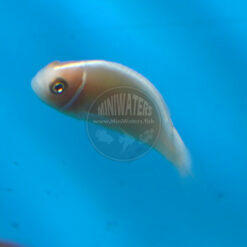 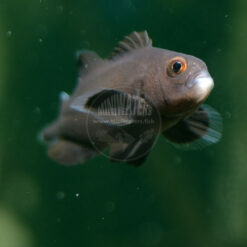 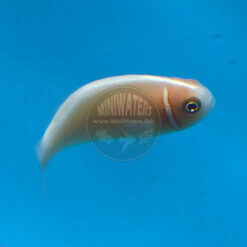 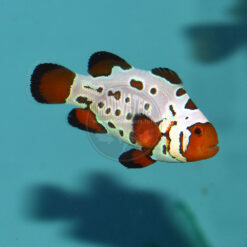 This is a dominant gene, but the level of expression determines whether you get highly misbarred fish (aka. 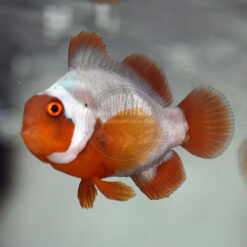 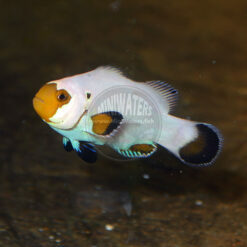 “Extreme Misbar”), fish with only a white cheekspot (“Domino” Clownfish), or stripes which are fully eliminated (the “Midnight” phenotype). 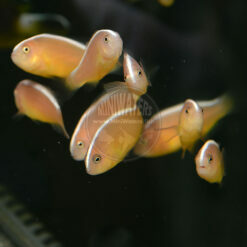 All of these variants likely represent the same genotype, all carrying at least one Naked gene. 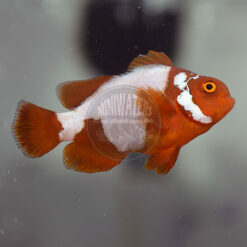 When the Naked gene is combined with the Snowflake gene, we get the “Midnight Black Lightning” clownfish; one gene trying to enhance and reshape the stripes, the other gene simply trying to eliminated them.